Dan rented a cottage in Wisconsin for the two of them to enjoy a quiet little weekend getaway! Little did Lindsey know, this was going to be a trip she would never forget! During their stay Dan got down on one knee and asked her to spend forever with him and of course, she said YES! He even had one of his best friends paint a photo for him that was him on one knee proposing to her! How sweet is that!! This was actually not the first time I took photos of Dan! He was a groomsmen in his good friend Chris' wedding that I shot back in June and I'm SO excited to now finally be HIS wedding photographer! Him and Lindsey are just the sweetest couple! They showed up to the location they picked out, ready for anything! My favorite part, Dan knew exactly what to do to make Lindsey laugh! And she looked absolutely beautiful! Just seeing them interact with each other and how playful they were makes me even more excited for their wedding day! 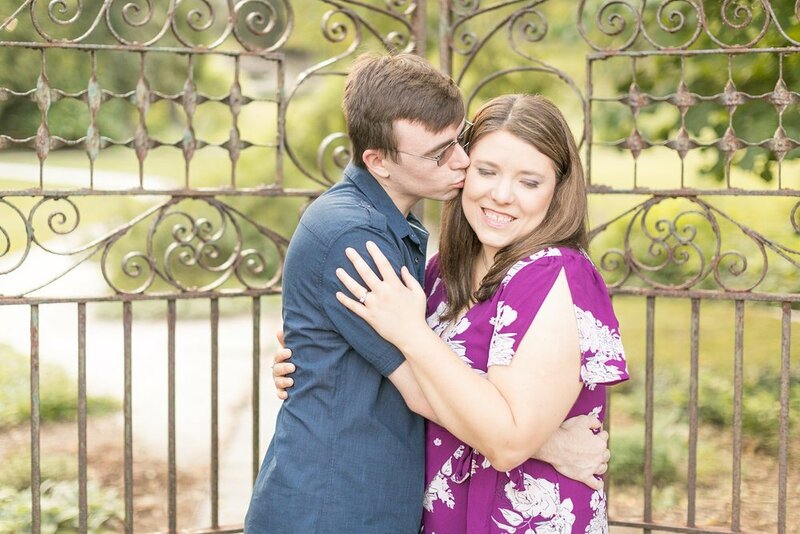 Lindsey and Dan, I am so happy for you two and I hope you enjoy some of my favorites from your engagement session!